With 30% or more of the bulk unsolicited email marketing campaigns blocked by ISPs as spam, and people that simply throw emails away in the electronic trash can because they did not realize they opted in with one of the free software and information opt-in offers; email marketing using a paid mailing list to send out bulk email campaigns can hurt your company brand more than you know. You’re trying to get your new business off to a fast start, and you’ve come across an opt-in paid email offer online to target businesses across a wide spectrum of markets with promises of 2 million emails sent on your behalf, and you think, wow that sounds pretty great! Well, think about this for a second. Do you personally like receiving unsolicited emails? While you may have opted in when you signed up for that free software offer online, I venture to say that the majority of those emails sent to you, don’t even get read. Other email marketing issues to date. So do you really want your company to be thrown in the trash can? Do you want your company branded with that marketing approach? Sure there may be some short term gains, but careful consideration needs be given to analyze the long term consequences to your company brand. The consequences can severely affect your brand both online and the real world. Do you really want your company to become known that way? Email marketing strategies for your business; the better way. Invite your visitors on your website, to signup for a free newsletter. These are truly the opt-in sales leads for your business. These folks have been to your website, and would like to know more about you or the information your company provides. If you do choose a strategy to go the rout of an unsolicited email marketing campaign with a paid sales leads email mailing list, make sure it is from a reputable mailing list firm. Do your due diligence by asking them the tough questions. Find out where and how they collected their list of emails. Perform some searches online for the company that you are intending to buy the email sales leads mailing list from. Find out if there are any negative comments about the company online. Search for their url and read information in the online forums. Compare offers from other companies. 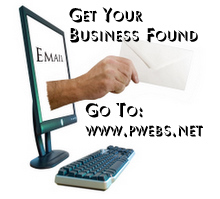 Ask for references of other organizations that have used their email lists. Know what you are getting, before committing to spending a ton of money on this email marketing strategy. If you are having the company do the email marketing mailing campaign for your business, find out what it will look like in the email receivers’ inboxes. Will the email look good in the old and the new Outlook, Outlook Express, Eudora, and Mozilla Thunderbird, as well as Google Gmail, Yahoo Mail, or Microsoft Hotmail? Find out what percentage of emails are likely to get through. Ask what percentage of these emails are likely to convert to a click through hyperlink, to a landing page on your business website. Would you like to have an automatic opt-in email newsletter subscription service set up to gather emails or other important information from online visitors? Contact Professional Web Services today to get an opt-in email marketing strategy that will set your brand apart and gather sales leads for your business. Find out more about professional Internet marketing today.